Yo Gabba Gabba has become a very popular Nick Jr. television show for young children. Due to their popularity, many kids want to dress-up like their favorite characters for Halloween or just for play. 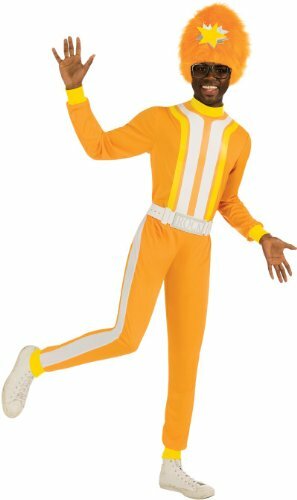 See all Yo Gabba Gabba Costumes here. 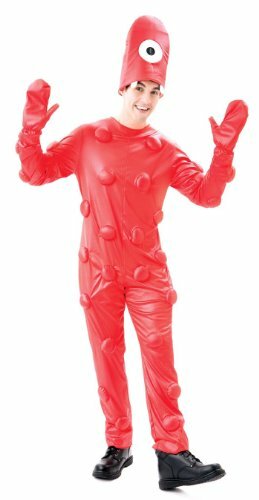 All the Yo Gabba Gabba costumes on this page are available in adult sizes as well for parents to give their kids a special treat with a themed party or at any special kid’s event. Also, all images are clickable so if you see a costume you like, just click the picture to get more info, check sizes, read reviews, etc. Foofa is the beloved bubbly flower character who is always pink and happy. 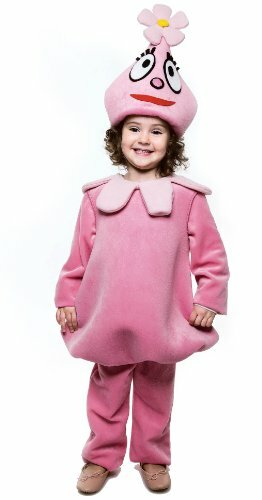 Her love of rainbows, flowers and unicorns would make her costume ideal for any bubbly little girl in your life. Let her carry around a stuffed unicorn to make her character feel more complete. Plex the magic yellow robot is smart and fatherly to the others in the group. He teaches valuable lessons in responsibility and kindness. Allowing your little man to dress-up in a full body Plex costume will make him feel like he has magic powers. This would be a great costume for a dad to wear to a themed birthday party or special event! Being the youngest and brightest of the group, Brobee is a small green baby monster. He is the apparent guinea pig when it comes to trying new things to eat. 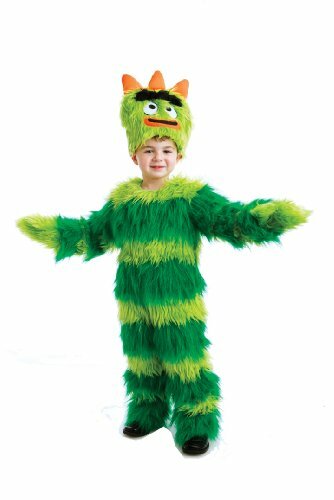 He is also the drummer of the Gabba band, so if you have a little boy (or big boy) who like to play the drums and act like a little monster, this may be his costume of choice! Toodee the blue cat dragon loves to have fun. She is a close friend to Plex and plays the bass guitar in the Gabba band. She lives in a wintry realm with a lot of icicles and snow. Any little girl who is full of energy and fun will love “being” Toodee for a night. This would be an awesome costume for a mom to wear to a children’s event and play the character! Muno is tall and red. He is also a Cyclops that is a little clumsy though he can play the guitar for the band just fine. He and Foofa are great friends. Muno lives in a desert planet type realm so he seems a bit alien. This costume is red with a hood that has one eye and a toothy grin. DJ Lance Rock acts as the shows narrator. He is friends with all of the other characters and actually created all of the characters as seen in “Gabba Land Begins”. DJ Lance is orange and wears a furry looking hat with a star on it. This could also be a great adults costume since he is the narrator of the show, and that aspect could be played upon at events or birthday parties. 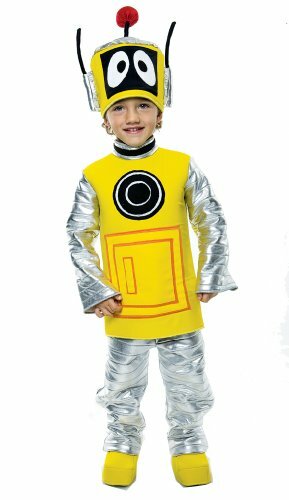 As you can see there are a lot of choices when it comes to the Yo Gabba Gabba full body costumes available for Halloween or any other kid’s event. Choosing your favorite character for you or your child just might be the hardest part of choosing a costume this year. 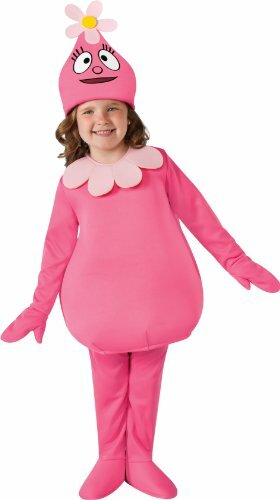 Kids of all ages who are fans of the show will absolutely love these costumes. 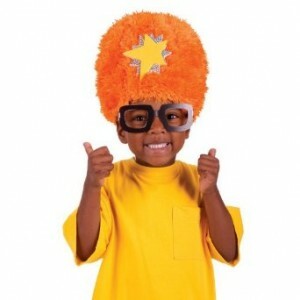 See more Yo Gabba Gabba Halloween costumes here. This entry was posted in adult costumes, Halloween, kids costumes. Bookmark the permalink.